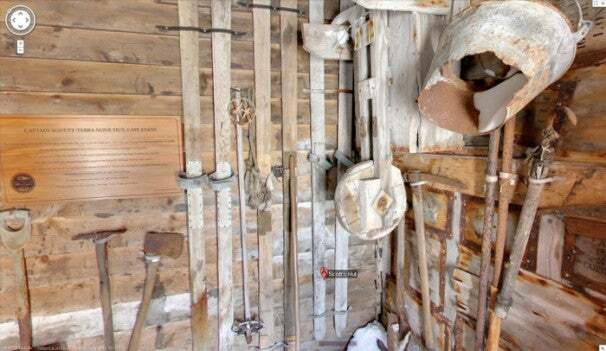 Google Maps recently added a new round of panoramic Street View images from Antarctica including such points of interest as explorer Ernest Shackleton’s hut from the Nimrod expedition and the ceremonial South Pole. 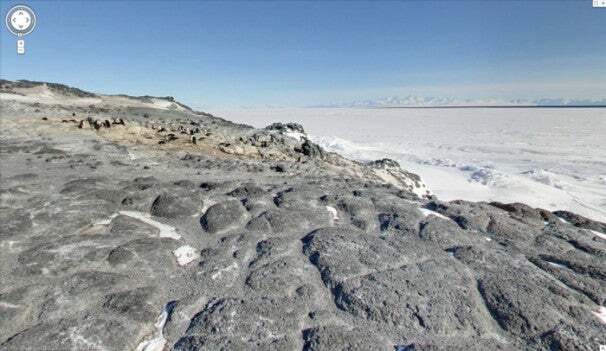 Google first added Antarctic imagery to Street View in 2010, but photos of the ice-encased continent were fairly limited. In fact, they still are. You can’t easily get around Antarctica on Street View (or in the real world for that matter), but at least you can catch a peek of some of the highlights on Google Maps. Here’s a look at five of the top locations you don’t want to miss from Google’s sub-zero Street View. 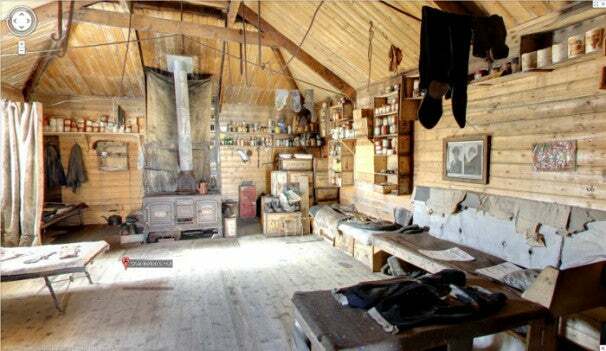 Built circa 1908, this hut was used by famed Antarctic explorer Ernest Shackleton and his crew during the Nimrod expedition that lasted from 1907-1909. The hut is located at Cape Royds on the far west of Ross Island. Just down the ice sheet from Shackleton’s Hut is the Cape Royds Adélie Penguin Rookery. 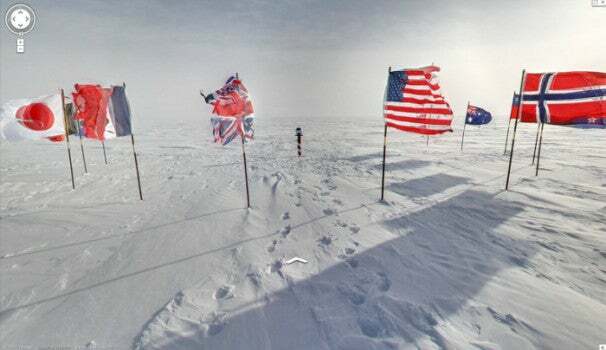 Located a stone’s throw from the Amundsen-Scott South Pole Station, the ceremonial South Pole features the flags of the original 12 signatory nations to the Antarctic Treaty. 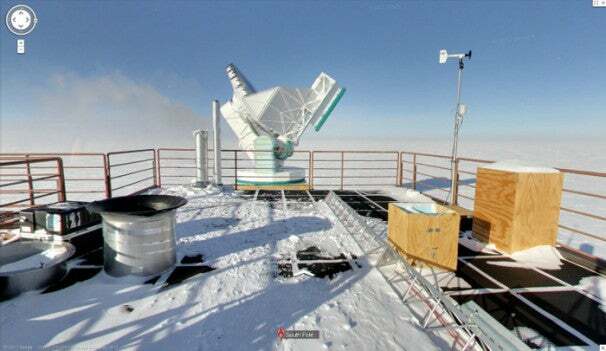 Also at South Pole Station is the South Pole Telescope, constructed on-site between November 2006 and February 2007. The telescope is being used to study dark energy in the search for answers to age-old questions such as how old is the universe. Located on Cape Evans on Ross Island, this hut was built in 1911 during Robert Falcon Scott’s Terra Nova expedition (1910-1912). Terra Nova was the second expedition to reach the South Pole; a Norwegian team led by Roald Amundsen beat Scott to the pole by about a month. Although they made it to the pole, Scott’s team perished on the return journey to their base camp.